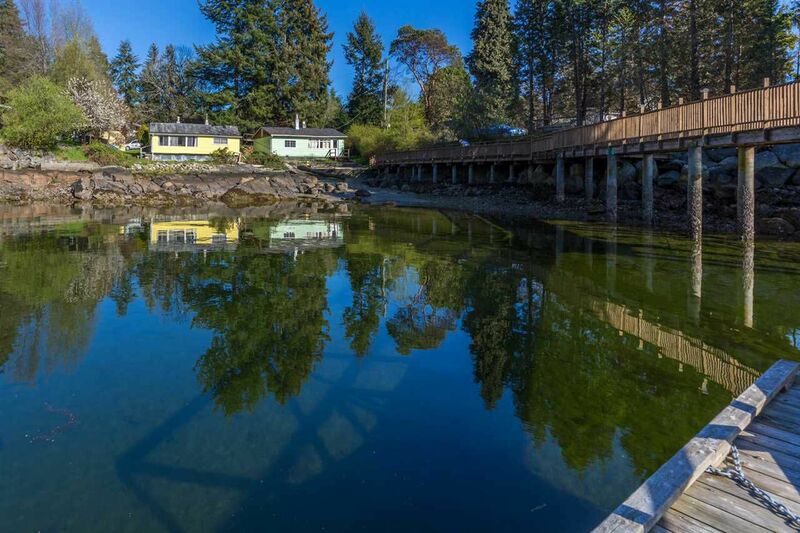 Enjoy this perfect summertime property with over 100 ' of protected level waterfront in Halfmoon Bay. The two oldercottages have been used as a family retreat for many year. Take a pleasant walk to the historic Halfmoon Bay store and Government wharf or simply relax and enjoy the coastal lifestyle. Professionally installed 10' x 20' float and ramp withforeshore lease in place make an ideal set up for using your pleasure craft or kayak to discover all the local islets and bays. Call us today to book your appointment.